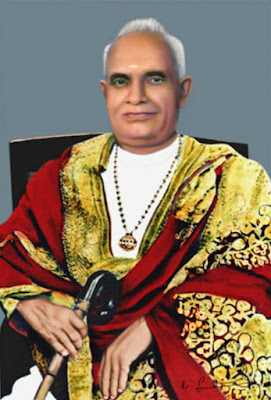 Remembering Sree Mannathu Padmanabhan , the acharya of Nair Community on his birthday. As a member of the community, I feel indebted to the visionary who fought for social justice and reformation in the community plagued with immoral and unethical practices. He was instrumental in breaking up the ancient matrilinear joint family tharavadu system thereby reforming the community and made them ready to blend with the modern times. The success of the community members should be attributed to the tireless war fought by the acharya. Holiday for government offices and schools on this days seems to be a new practice. The man who united the different Nair subcastes who thought they were inferior / superior among themselves left the tag.Suggest everyone to throw the tail bcos it brings the most regressive thoughts and mentality along with it.Communism is a western pseudo philosophy. Freedom of the individual soul is the main attraction of Hindu dharma. We do not believe in entities like the church who come to control individual using marriage, death and social ostracism. Our rishies were not castiest. Their followers however did establish castes based on their names. Same thing Vellapally ji is doing in modern times. Let us all raise ourselves to a Hindu (one who lives in India and choose to accept the country's rich and diverse culture and heritage ) rather than become torchbearers of certain caste, religion etc.